A: It is indeed, Nina. In fact, the sweeping historical drama premieres on Starz beginning Saturday, Aug. 9, at 9 p.m. ET/PT. The first eight episodes will air through Sept. 27, with the second half of the season returning in early 2015. However, if you’re like me and can’t wait to see the first episode, starting Aug. 2, you can watch it online at starz.com, on Starz’s Twitter, YouTube and Facebook pages, as well as select cable/satellite outlets. For those unfamiliar with the books, the “Outlander” series spans the genres of romance, science fiction, history and adventure in one epic tale. 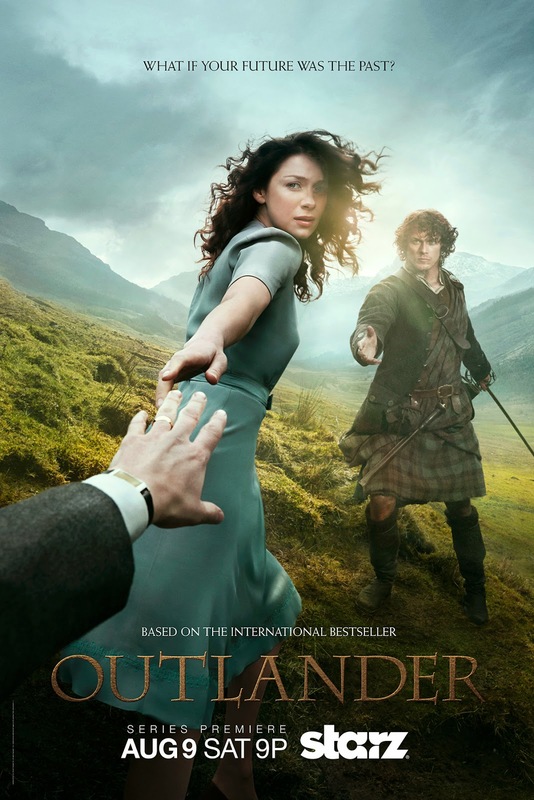 The series — adapted from Diana Gabaldon’s international best-selling books — follows the story of Claire Randall (Caitriona Balfe), a married combat nurse from 1945, who is mysteriously swept back in time to 1743’s Scottish Highlands. Upon her arrival, she is immediately thrown into an unknown world where her life is threatened. But when she is forced to marry Jamie Fraser (Sam Heughan) — a chivalrous and romantic young Scottish warrior — for her own protection, a passionate relationship is ignited. A: NBC recently announced that the award-winning actor and talented hoofer will portray the iconic character of Captain Hook in the network’s live musical adaptation of “Peter Pan,” which is set to premiere in December. The success of last Thanksgiving’s “The Sound of Music Live” has proved that America loves a good, live musical, and I have a feeling that Christopher and the rest of the as-yet-uncast cast will deliver. A: The Science Channel’s most watched series of 2013 is returning for its second season on Tuesday, July 29, at 10 p.m. ET/PT. Season two’s 12 all-new episodes will launch viewers into another gripping exploration of the unknown by investigating more of the most puzzling, global incidents from the United States to Russia to Bosnia-Herzegovina to Mexico and more. A: I am happy to report that there shall indeed be another season of the BBC/PBS hit mystery series based on Sir Arthur Conan Doyle’s detective book series. The show will return with a three-episode fourth season, which will start with a one-off Christmas special (most likely) in December 2015. You heard me right: That’s a Christmas special PLUS a regular three-episode season. A: That is indeed true, Steff. Characters loosely based on Kristoff, Anna and Queen Elsa — who will be played by Scott Michael Foster (“Greek”), newcomer Elizabeth Lail and Georgina Haig (“Fringe,” “Reckless”), respectively — will cool their heels in Storybrooke, Maine, in season four of ABC’s red-hot fantasy/drama series. The “Frozen” story arc on “Once Upon a Time” is expected to pick up after the events of the film. 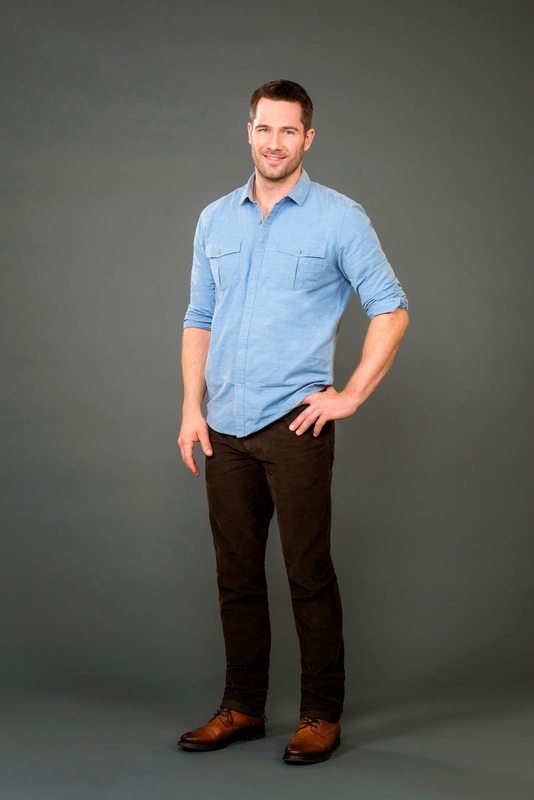 Q: One of my favorite shows was “Brothers and Sisters.” Can you tell me what my favorite actor from that show, Luke Macfarlane, has coming up next? — Vivian R., Brunswick, Ga.
A: Luke can be seen next starring in the Hallmark Movie Channel’s original movie “The Memory Book,” which premieres Saturday, July 26, at 9/8c. The story centers on photographer Chloe (played by Meghan Ory), who stumbles upon an old photo album from the 1970s. She sets out to find the couple in the album to prove that true love exists. Along the way, she meets Gabe Sinclair (Luke), a mysterious but charming bartender who soon finds himself falling in love with her. Check back in a few days for my full interview with this talented young actor. A: Fox recently announced that it’s decided to pull the plug on the historical fantasy/thriller centered on ancient Egypt, even though it gave the green light and shot the pilot episode. According to insiders: “The series wasn’t creatively coming together the way executives had hoped.” After watching the trailer for the series, to me it looked like a cheap “Game of Thrones” rip-off, so maybe Fox execs were saving us from finding that out for ourselves. Q: I’ve heard about a new series called “Gunslingers,” but I have no idea what channel it’s on, or when it premieres. Can you help? — Donald R., Bethesda, Md. A: I certainly can help. The American Hero Channel’s new original series, “Gunslingers,” debuted last night, Sunday, July 20, at 10/9c. The series focuses on the few brave men who protected the innocent from an endless stream of gun-wielding outlaws throughout the 19th century. The thrilling six-part historical docudrama immerses viewers in the true stories behind infamous icons and legendary conflicts of the Wild West. A: The Fox reality series, which flew 12 American women to a stately home outside of London for a dating-competition show, was pulled from Fox after the fourth episode for dismal ratings. If you want to see how the show turned out, the whole series is available on Hulu and at Fox.com. A: Lauren stars in the new Lifetime movie called “Deliverance Creek,” which premieres Saturday, Sept. 13, at 8 p.m. ET/PT. The movie is executive-produced by acclaimed author Nicholas Sparks (“The Notebook,” “Safe Haven”). It is a revenge drama centering on a widow and mother of three, Belle Gatlin Barlowe (played by Lauren), who is determined to protect her family and land at any cost during the Civil War. When the corrupt bank that runs their town pushes Belle into becoming an outlaw, the stakes become personal, setting off a chain of events that force her to question whether it’s better to be good or to survive. Q: Angela Kinsey has to be one of the funniest women on television; I love her recurring role on “New Girl.” Will she star in anything of her own soon? — Judy T., Santa Fe, N.M.
A: The talented actress, who’s perhaps best known for co-starring on “The Office,” currently co-stars in “The Hotwives of Orlando,” a Hulu original series that premiered Tuesday, July 15. As you can probably tell by the title, the series is a riff on all the “Real Housewives” series, which follows Angela as the Religious Zealot, Casey Wilson as the Trophy Wife, Kristen Schaal as the Drug-Addled Former Child Star, Tymberlee Hill as the Entrepreneur, Danielle Schneider as the Bankrupt Overspender, and Andrea Savage as the Cougar. Paul Scheer (who also is a producer on the series) co-stars as Matty Green, the Enthusiastic TV Producer. A: The popular Masterpiece Classic period drama — which airs on ITV in England and on PBS in the U.S. — will return for a fifth season in January 2015. It does air first across the pond (which should be sometime this fall), so try to stay away from spoilers, if you can, until it airs here in America. A: Callum has been tapped to co-star in the Kyra Sedgwick-produced pilot for TNT called “Proof,” which is currently filming. The series also stars Jennifer Beals, Matthew Modine, Edi Gathegi and Joe Morton, to name just a few. The series centers on a brilliant surgeon (played by Jennifer) who begins investigating supernatural phenomena, including resurrections, out-of-body experiences and hauntings. No word yet on when the series will premiere. Q: I read in “Billboard” last month that Journey and Steve Perry were not going to reunite, despite the rumors to the contrary. What can you tell me about that? — Peter F., Tempe, Ariz.
A: Neal Schon of Journey has indeed spoken out against the rumors of a Journey reunion with Steve Perry. In fact, the rock band is presently touring with current lead singer Arnel Pineda. However, last month, Steve Perry made a rare and unannounced appearance (he hasn’t sung publicly since 1995) with the indie band the Eels at the Fitzgerald Theater in St. Paul, Minn., singing an Eels song with the band, as well as Journey classics “Open Arms” and “Lovin’, Touchin’, Squeezin’.” He sounded absolutely fabulous, and I hope this is an indication that he is ready to step back into the spotlight, make a new album and go on tour. Q: There was a TV show on last year about two LAPD cops who didn’t get along, so their captain sent them to couples’ counseling. My wife and I really enjoyed the show, and we were wondering if it’s coming back. — Tom W., Palm Desert, Calif.
A: The show you are thinking of is USA’s “Common Law,” which starred Michael Ealy and Warren Kole. It was canceled by the network in fall 2012. Michael has since co-starred in “Almost Human” (which recently was canceled), and Warren played a juicy role in “The Following,” although his character died last season.